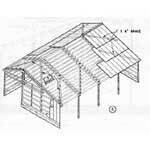 A pole barn or a cattle barn is a barn that is essentially a roof extended over a series of poles. The very nature of pole barns actually make them green. 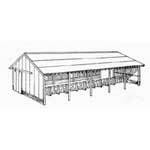 Most pole barns use a reduced amount of structural materials compared to other types of barns. Also there is a flexibility of interior space since there are no interior walls. 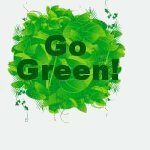 This allows for the green aspect of a building constantly undergoing evolution. The building can have many different purposes throughout it's lifetime. Walls, doors & windows for pole type buildings. 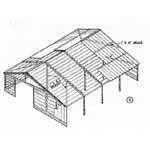 Multi-Purpose Pole Barn. 30' x 60' clear span. Pole Barn. 39' x 60' or 52' x 60'. 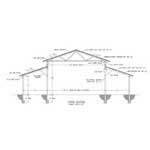 26' roof truss plust sheds. Pole Barn. 39' x 60' or 52' x 60'. ridge centered on pole. Pole Barn. 39' x 60' or 52' x 60'. ridge between poles. 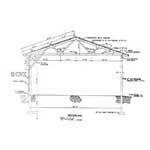 Pole Frame 26 ft. wide bldg w/leans for 39' or 52' wide, rafters 2'oc. 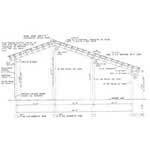 Pole frame 30 ft. wide cg bldg., inter posts, rftr on 15' cntrs. 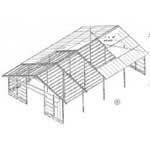 Here are easy to follow plans for a 58 x 96 ft. pole barn. 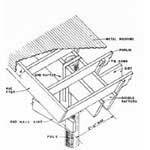 This barn is designed to be used in areas where winds to not exceed 80 mph. and snow is minimal. Give an "old style" look to your home or barn.